Last night during his closing prayer other than a few “boo’s” (Thank you Joe Jervis at Joe My God”) Dolan had the nerve to close out the DNC with a slam on abortion rights. By the way. 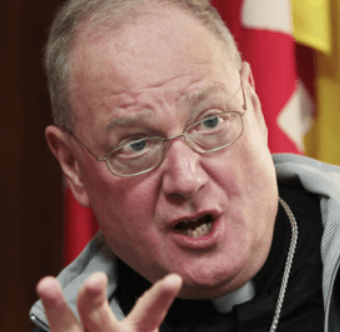 Cardinal Dolan will be a key speaker at next weeks Family Research Council’s anti-gay HATERPOOLOOZA “The Values Voters Summit”.